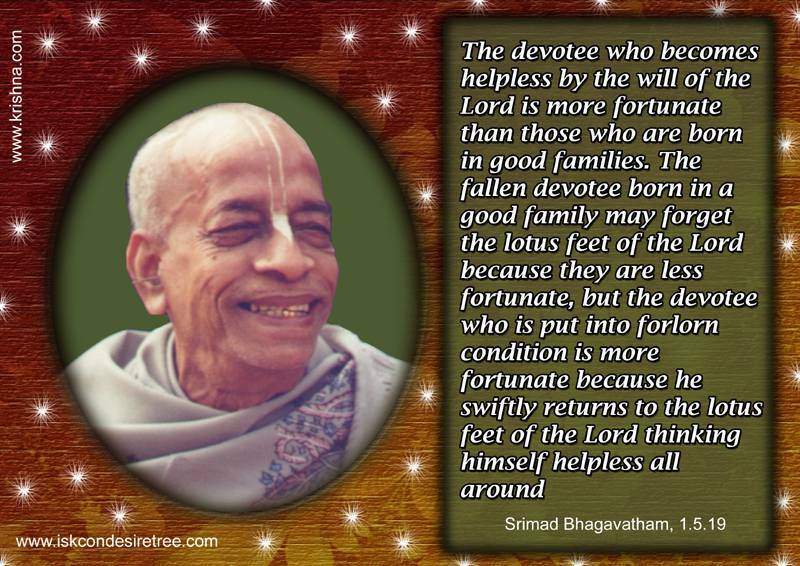 The devotee who becomes helpless by the will of the Lord is more fortunate than those who are born in good families. The fallen devotee born in a good family may forget the lotus feet of the Lord because they are less fortunate, but the devotee who is put into forlorn condition is more fortunate because he swiftly returns to the lotus feet of the Lord thinking himself helpless all around. – Srimad Bhagavatam, 01.05.19.